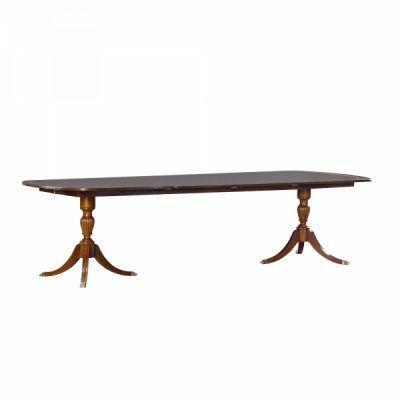 View Quote “DINING TABLE EXTENDED” has been added to your cart. 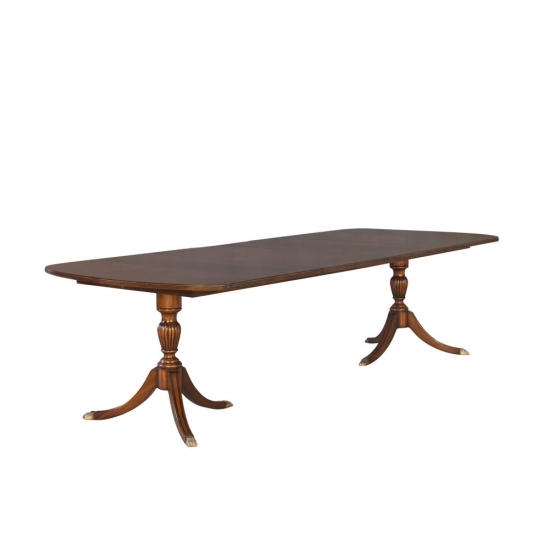 Dimensions: 120 in. 30 in. 46 in. 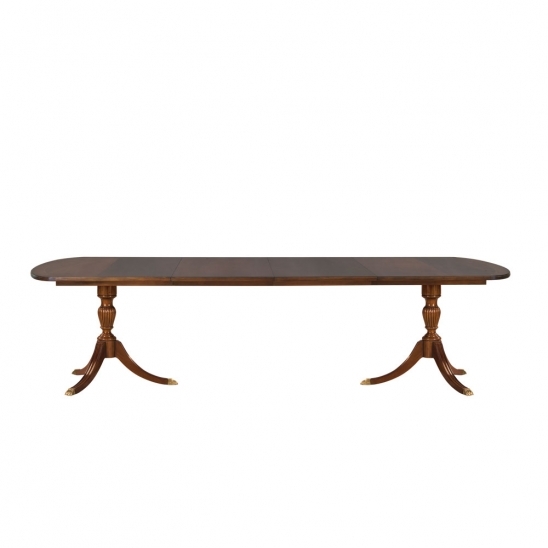 DUNCAN PHYFE DINING TABLE FLAMED, TWO PEDESTAL, SHOWN IN FEM FINISH . 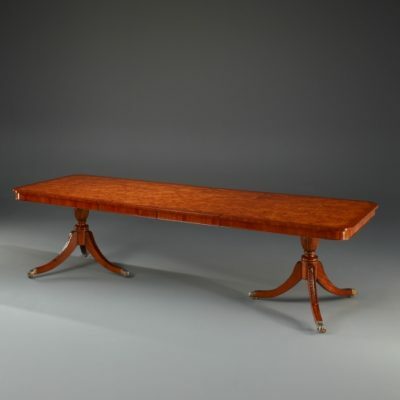 120 " LONG-- Simplified regency dining table without skirt. 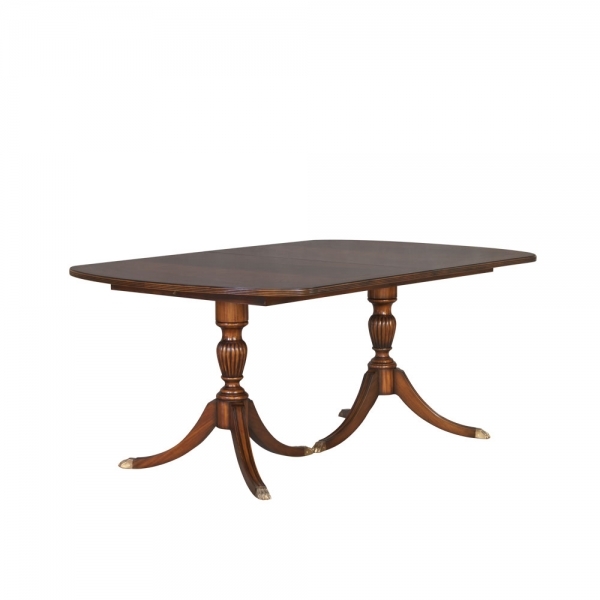 The reeded urn pedestals have a sober design with only the claw shaped toecaps as accent. 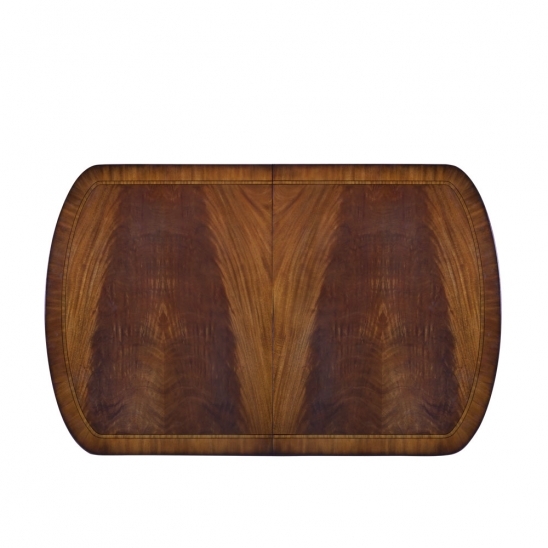 The table has a rectanguar top with rounded corners and a triple beaded edge. Non extended 183cm it comes with 2 leaves of 61 cm each. Matching chairs: 33434, 33865.